The Katchalsky brothers, Aharon and Ephraim, were already a well known phenomenon in the far-off days before statehood. 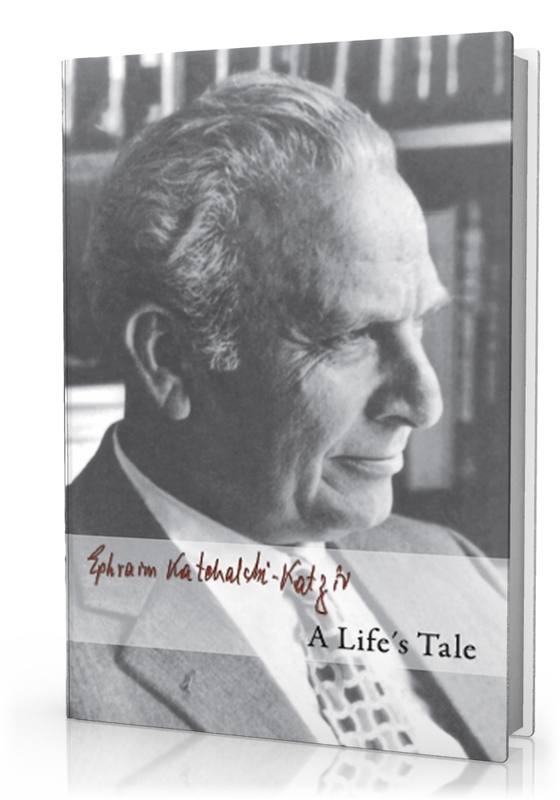 In this book, Professor Ephraim Katzir unfurls his personal tale as well as his family’s story; both tales intertwine with the saga of the “Yishuv”, the state of Israel, and the Jewish people. Throughout all the stages of his life – in high school, as a university student, as a member of the ‘Hagana’, as a commander of the military’s science corps (“Hemed”), at the Weizmann Institute and at other scientific institutions, and as president of Israel – Ephraim Katzir left a deep impression. In this riveting autobiography, A Life’s Tale, Katzir’s personal story blends with the stories of the state of Israel and its science in the second half of the twentieth century. Katzir is one of very few people who successfully combined a life devoted both to science and to the state of Israel, and is indeed one of the most distinguished examples of such a duality.